I have been a customer of Baby Bio® for more years than I care to remember, it can be measured in decades. My very first attempts at growing plants were houseplants and Baby Bio® was always there in my care regime. 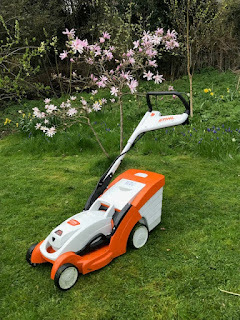 When Baby Bio® asked me if I would like to write some sponsored posts for them I was very happy to say yes as it is a product I know and trust. Then they said they wanted me to test their orchid products. Now regular readers may recall that I do indeed own an orchid and that I have not been very good at looking after it. I thought this was a sign that it was due a bit of love. I keep it on the kitchen window-sill as that helps me remember to keep watering it. 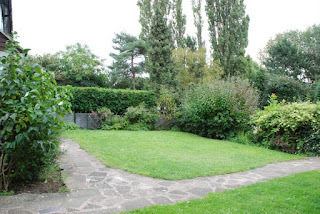 It has been flowering pretty routinely now for the last couple of years so it is not as neglected as it used to be. I have never bought any products specifically for it so it has mainly been kept going on the standard Baby Bio®. When I opened the box of products they sent me, it was like the orchid was having its own little Christmas. 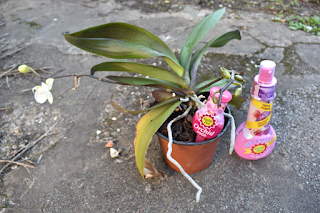 Firstly I repotted the orchid in the special compost – Baby Bio® Orchid Compost. Orchid compost looks not dissimilar to old tree bark, this is because orchids in their natural environment grow on trees. This compost is designed to give them the nutrients and drainage that they need. I knocked most of the old compost out of the roots of the orchid and gave it a slightly bigger pot. I also attempted to make it stand up straight again as it had got a bit wonky. 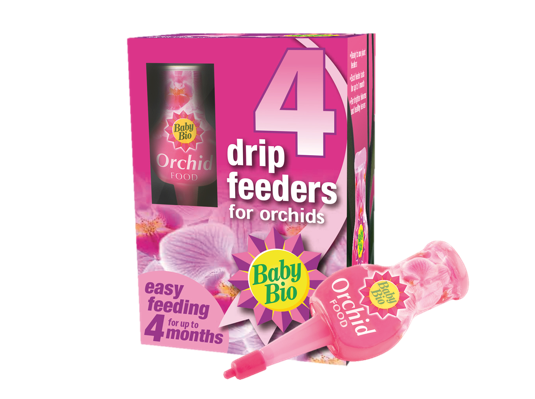 I watered it well and added the special orchid food feeder – Baby Bio® Orchid Drip Feeder. This will keep it fed by dripping slowly for the next three or four weeks. The food is designed to help the orchid have healthy blooms and healthy greener leaves. 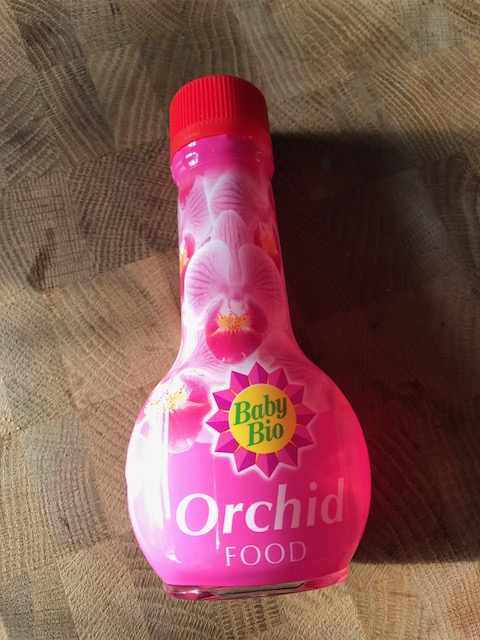 I also have some Baby Bio® Orchid Food. I am being careful not to overfeed the orchid, but this food only requires a small amount to be used but it will keep the orchid producing the green fleshy leaves that provide the energy source for the all important flowers. The Baby Bio® Orchid Food is a clear liquid and you only need to use small amounts so the bottle will last quite a while. I then put the orchid back onto the window sill and as the final touch, gave it a spray with Baby Bio® Orchid Feed & Mist. This is a very fine spray that aims to provide the humidity the orchids like and also important nutrients. 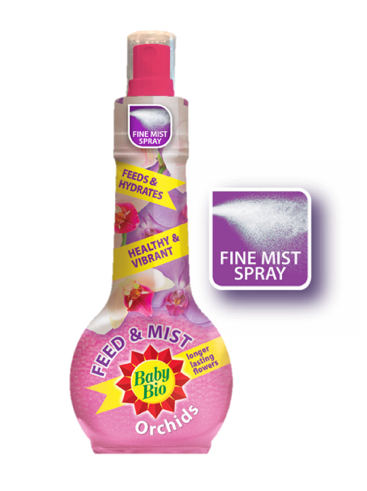 The Baby Bio® orchid care range mimics the requirements of the orchid, which are quite specific. As mentioned above they grow on trees as epiphytes so in their natural habitat they have good drainage and humidity. They do not grow where it gets particularly cold and they need moisture but not to sit in wet. After a week of this treatment the orchid looked to reward me by opening a flower. It is clearly happier already. I will do a follow up post in a couple of weeks to let you know how it is getting on. Bark-based Baby Bio® Orchid Compost is specifically formulated for orchids. It has the open structure and free draining environment essential for the root system of orchids. 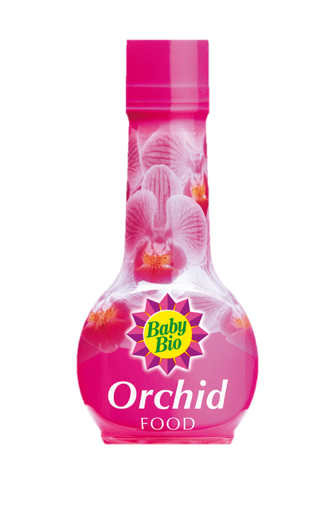 Also, Baby Bio® Orchid Compost has the added nutrients orchids need for sustained flowering. Baby Bio® Orchid Food is perfectly formulated to provide orchids with the nutrients they need to flourish. 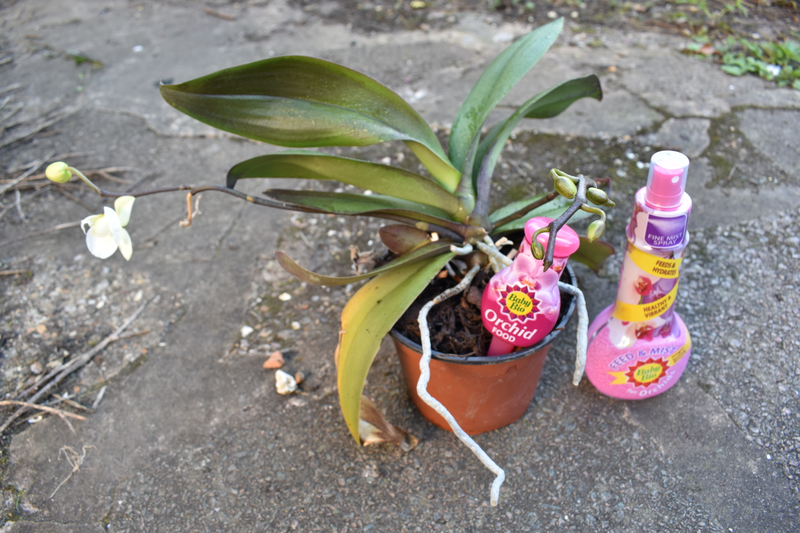 A few drops of Baby Bio® Orchid Food and the orchids will produce brighter blooms and have healthy leaves. I have just bought some of the Orchid food for my orchid so am pleased that it looks like it will be money well spent. I haven't had much success with them in the past and have managed to kill two (oops) by over watering, but I received one in February and so far, it is still alive and in flower.